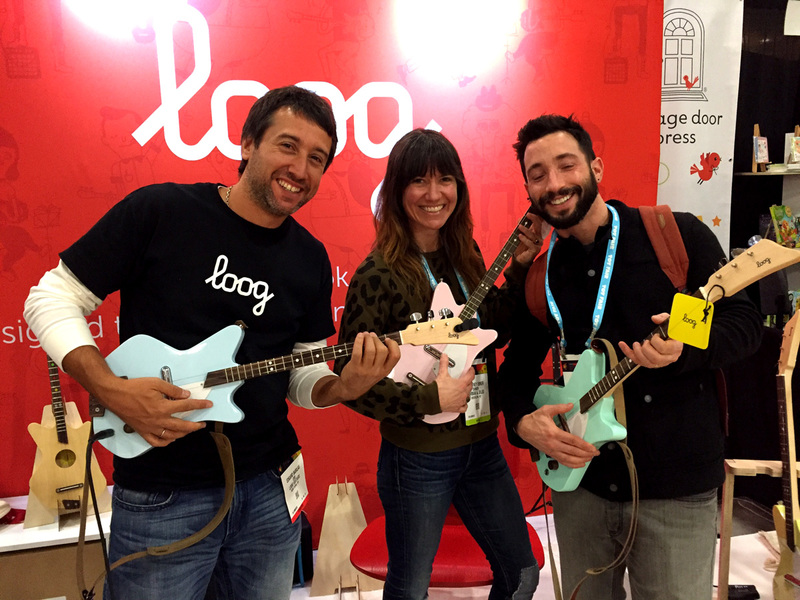 Booth #5719 was BURSTING with people and we’re not even kidding – many of those who dropped by hadn’t even heard about the Loog and were actually surprised by the guitars’ quality. But, most of all, people were so excited about getting to play a song on day one! 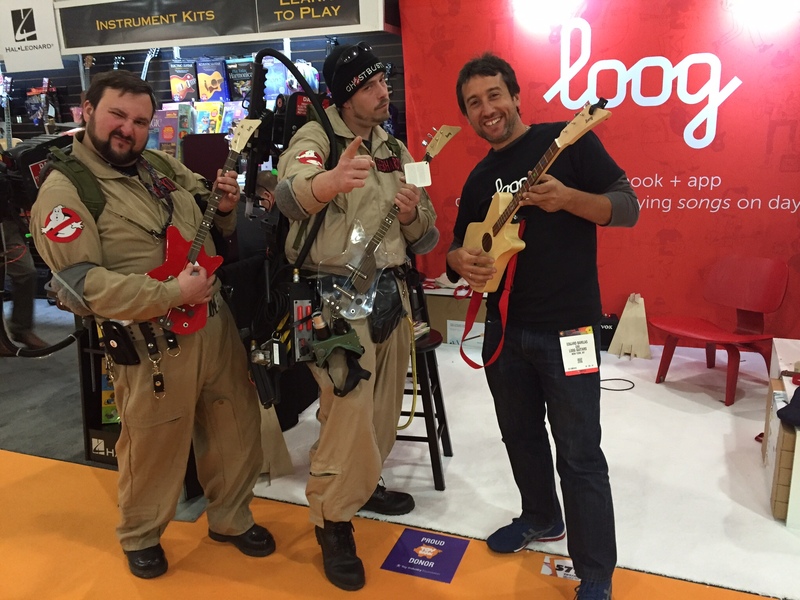 We actually took some to the test, powered with the new song book and #LoogAcademy app – and boy did we get to witness some really giddy adults on their way out. By far, the drummer monkey on the app stole the show – that is, until we heard about Tim Kubart’s awesome Grammy win. 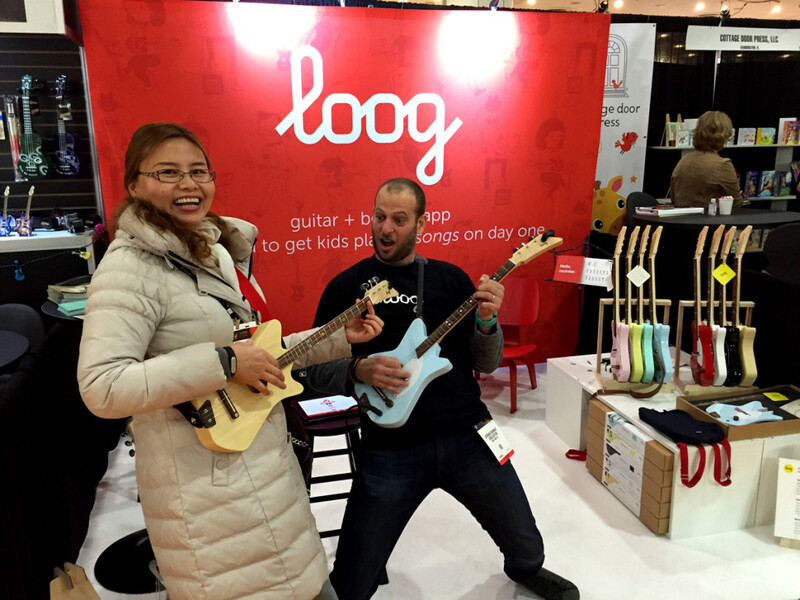 Suddenly, kids everywhere were learning to play guitar guided by a Grammy-winning artist (and amazing guy, by the way – never has a Grammy been this well-deserved) – even in our Toy Fair booth! We must have gotten seriously excited because we got told to lower our amp volume once or twice – ah, the sweet, sweet sounds of neighbors knocking. Kind of made us go way back! We were also floored with orders, reporters and made tons of new industry friends – so stay tuned for new distributors in your area! And if you still haven’t given our #LoogAcademy app a spin, here’s the link to download it from the App Store. We’re dying to know what you think!